BOSTON - Highlighted by games against the last two national champions, including a home game against reigning national champion Duke, the Boston University men’s lacrosse team and head coach Ryan Polley announced the program’s 2014 schedule on Thursday. Season tickets for men’s lacrosse are available for $25 for the general public with special pricing for faculty/staff and young alumni ($20). 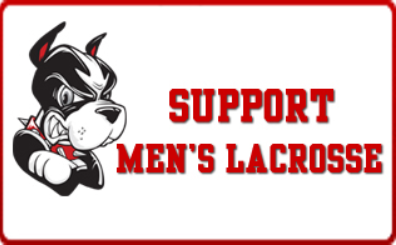 For more information or to purchase men's lacrosse season tickets, please visit www.AgganisArena.com, call 617-353-GOBU (4628), or visit the Agganis Arena Ticket Office, located at 925 Commonwealth Avenue, Monday-Friday, 10 a.m. - 5 p.m.
History will be made on Feb. 8 when the Terriers travel to Macon, Ga., to face Mercer in their first-ever Division I contest. The Bears will be one of six out-of-conference opponents BU will face in its inaugural season. The Terriers will stay in New England for four of those contests, including home dates with Canisius and Vermont and road contests at Harvard and Providence. The marquee matchup will be against four-time national finalist and defending NCAA champion Duke at Nickerson Field on May 4. BU will host seven games at Nickerson Field as part of its first varsity season, including the home opener on Feb. 15 against Canisius. The Terriers will play 14 regular-season games, including three against 2013 NCAA tournament teams. The first of those three tilts will also be the Terriers’ first-ever Patriot League contest when Lehigh comes to Boston on Feb. 22. Following a visit to Providence on Feb. 25, the Terriers will host Vermont (March 1) and Colgate (March 8) on consecutive weekends. A pair of Patriot League games in Pennsylvania will be next on the docket, as BU will face Lafayette (March 15) and Bucknell (March 22). The conference’s two military academies will visit Nickerson Field on back-to-back Saturdays when Navy (March 29) and Army (April 5) make the trip to Boston for the Terriers’ final two Patriot League home tilts. Three of the Terriers’ final four fixtures will be on the road, including a stop at 2012 national champion and fellow Patriot League newcomer Loyola (Md.) on April 12. The three-game stretch also includes fixtures against in-state rivals Harvard (April 8) and Holy Cross (April 19). Following the Patriot League tournament (April 22-27), BU will close its regular-season schedule against the Blue Devils on May 4.